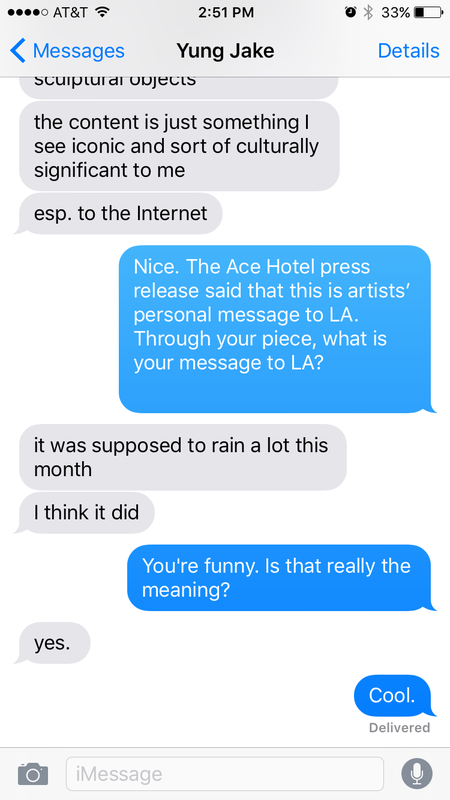 The decoratively trendy and architecturally cutting-edge Ace Hotel DTLA is starting off 2016 on an artistic foot, continuing its eye-catching billboard art series with file-sharing company WeTransfer. 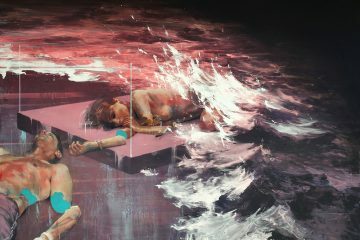 This time, the billboard features a captivating piece from digital artist and YouTube rapper, Yung Jake. 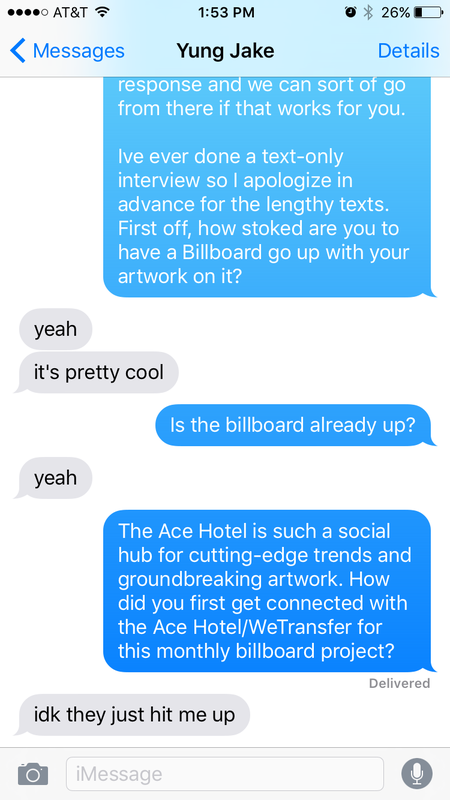 Every month since July 2015, a different artist has taken over the billboard space outside the Ace Hotel. 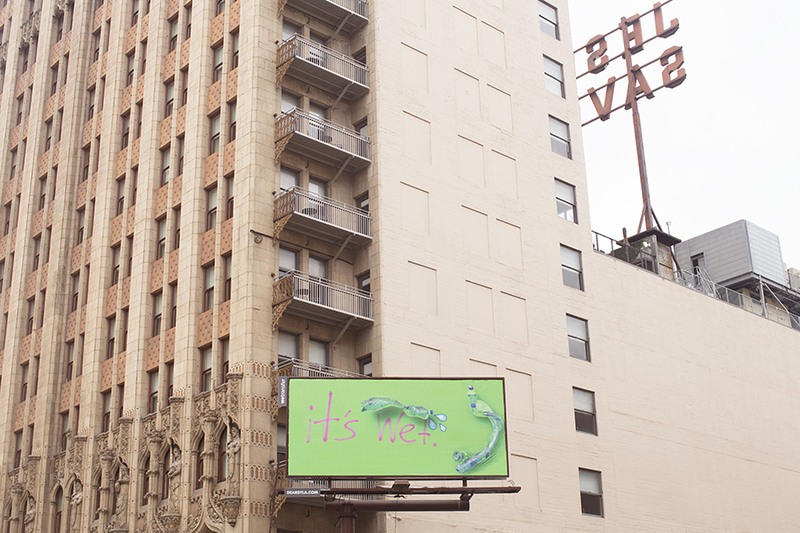 Artists such as, Cali Thornhill Dewitt, Brian Roettinger, Italian design house Fabrica and Robert Montgomery have graced the signage space with each piece acting as the artist’s personal message to LA. 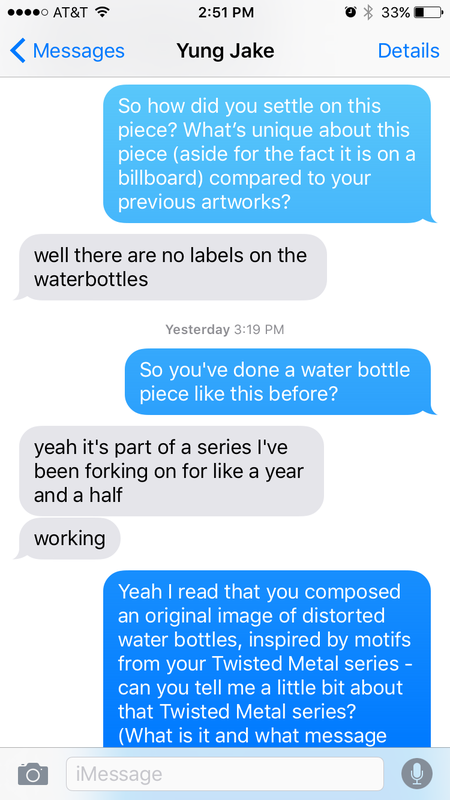 For this billboard, which was revealed in January 2016, Yung Jake has composed an original image of a distorted water bottles, inspired by motifs from his Twisted Metal series. In this series, he experiments with “contemporary pastiche,” emulating the physical warping of a real object through digital means. He constructs a message about “overt deception” by combining these bottles with a digital vector through a single emoji icon on a bright green screen. Yung Jake’s claim to fame was his intricate emoji portraits of celebrities, as well as his interactive music videos and HTML 5 experience e.m-bed.de/d. Young Jake has already received great acclaim for his work, having been previously honored as a 2015 Sundance Institute | Time Warner Foundation Fellow and winner of a Webby Award for Netart. 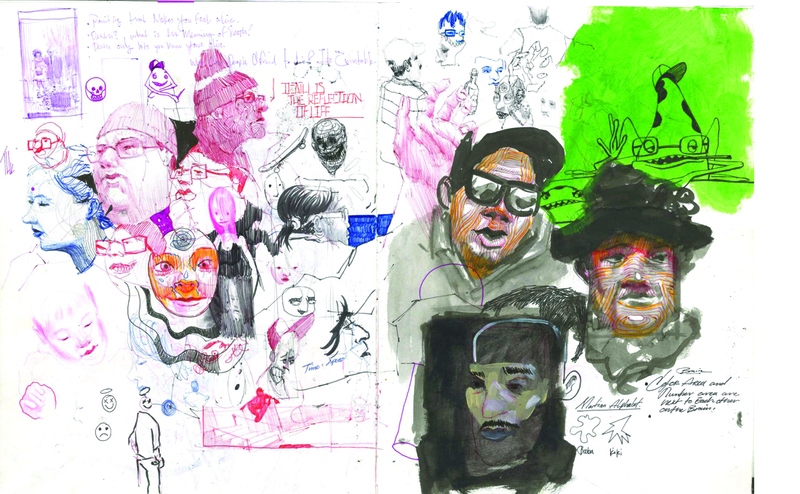 He has also exhibited his work nationally and internationally at Steve Turner Contemporary in LA, Tripoli Gallery in New York and Miart in Milan, Italy, as well as performed shows as a rap artist across the country. 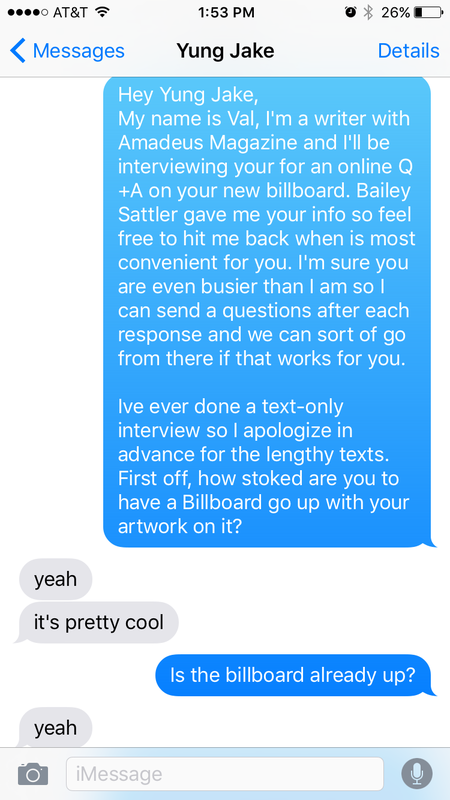 We had a chance to connect, strictly via text in accordance with the artist’s wishes, to chat about his new billboard installation. Though a technology guru and talented crowd-pleaser, Yung Jake was a man of few words. 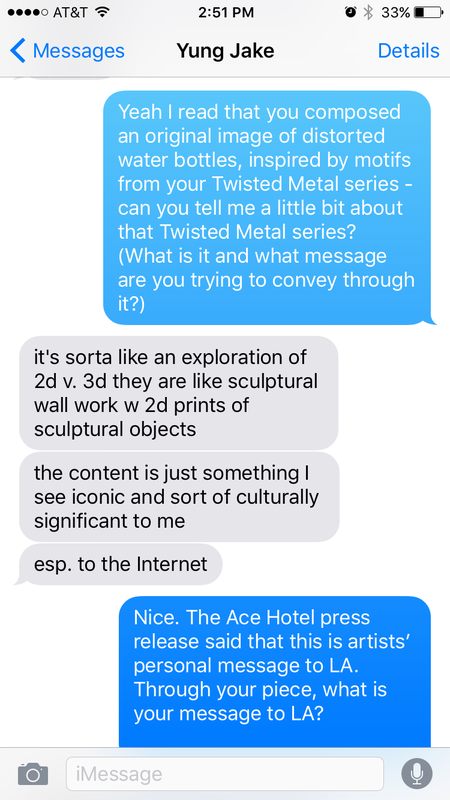 Check out our sweet and simple convo below. Fore more from Yung Jake head to his tumblr.